Classical music at the Parc Floral de Paris, which turns into an open concert hall ... All music lovers and nature lovers will be served! That's a good reason for staying in the heart of Paris and enjoy our exceptional rate offers !! Unmissable Parisian summer, the Festival Classique au Vert takes place this year from August 1 to September 13, 2015. September weekends for fourteen concerts. Designed according to the aesthetic codes of Japanese gardens, the Parc Floral invites families and tourists to rediscover the richness of classical music through outdoor concerts to be held at the corner of groves and green fields. 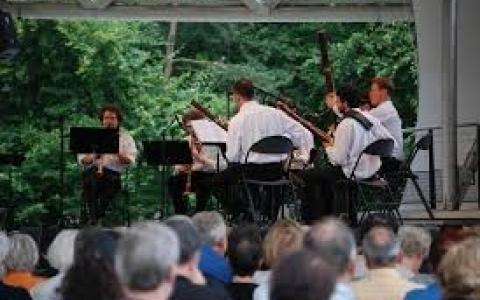 The City of Paris at the Parc Floral hosts each season from early June to late September, a "Musical Summer in Floral Park", consisting of three festivals: Paris Jazz Festival Classique au Vert and Pestacles. Classique au Vert was created at the initiative of the City of Paris in 1993. The festival takes a few years to establish itself as a major and recurring musical events of the Parisian summer life.